On Sunday, I took part in a marathon walk. Forty-two kilometers along the Merri Creek in Melbourne, Australia, to raise money for the work of Blue Dragon Children’s Foundation. About 30 people took part, and although many of us had never met before we were united by our concern for the fate of Vietnamese children. We all had sponsors, and so we set out in the morning to accomplish a goal that’s small on a global scale, but significant for our own lives. 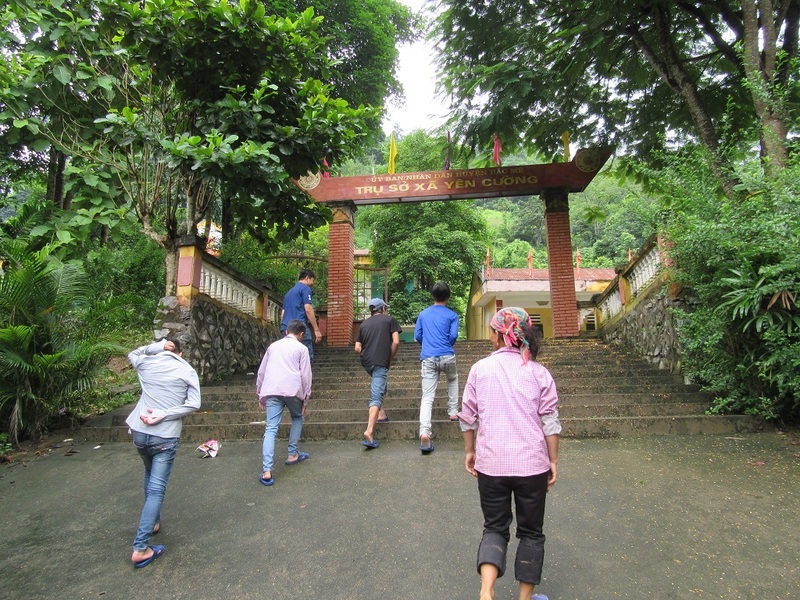 As we were walking, 4 teenage boys back in Vietnam were going for a trek of far greater significance. The boys, aged 14 to 16, are from a tiny speck of a village high up in the mountains of Vietnam, in a province called Ha Giang. Most people familiar with Ha Giang know it as one of the most beautiful places on earth. This one-minute of drone footage taken by a friend of Blue Dragon gives a sense of the remoteness and purity of the landscape. But Ha Giang is also desperately poor, and this has made it vulnerable to human trafficking and other awful forms of exploitation. Many of the girls and women we bring home from sexual slavery in China originate from Ha Giang, which shares a border with Vietnam’s northern neighbour. The 4 boys left home some months back, knowing that their families’ situations were dire and wanting to help. They saw no hope at home, and dreamt of a good life far away. Kids growing up in rural Vietnam are easily fooled into thinking that life somewhere else will always be easier and money will be plentiful; we’ve seen it so many times. Two of the group were particularly driven to go in search of riches. Cuong and Bac have had a dreadful time; their mother is terminally ill with cancer, and when their father made the long journey with her to Hanoi for treatment, all they had to show for it was a $9000 debt. Their mother is now at home, in the final stages of her cancer, and will soon be gone. But the loving sons hoped, fantasised, that there might be something they could do to help their family escape from the hell they had found themselves in. Their desperation was strong enough that they were willing to risk the chance that they would never see their mother again. Setting out, Cuong and Bac, along with 2 friends from similarly impoverished farming families, had no real idea of where they were headed, and before long they met someone who promised them work with good salaries in China. Their dream was to be able to send money home to their parents, so saw this as their big chance. Instead, they were trafficked and put to work in a factory without any pay at all. Deep inside China, they had no possibility of escape and all seemed lost – until the Guandong provincial police intercepted them while being transported around and returned them to Vietnam. Thrilled to be headed home, the boys came to Blue Dragon for some short term care and legal support, and on the weekend our team traveled with them into the northern mountains to reunite them with their families. Saying goodbye to the boys was incredibly difficult. We know we are leaving them in the situation from which they ran away, and we just can’t do that. So in coming days we’ll be planning how to get help to them and their families. Part of our problem is knowing that it’s not just Cuong, Bac and their friends; throughout their village and their district there are many more kids in need of help. We will need to work out what we can do, and get started. From the nearest government office, where the boys were reunited with their families, to get to their village is a 2 hour walk. Some recent rains had knocked out any possibility of getting there by motorbike. And this walk was not under a chilly blue winter sky, as my walk in Melbourne was; Vietnam is in the grip of a heatwave, and their journey was across rocky, mountainous terrain. I felt pretty proud of myself for finishing a marathon walk. In comparison, though, what I did was pretty insignificant compared to what Cuong, Bac and their mates have done. And that only spurs me on to think what more we can do to help.